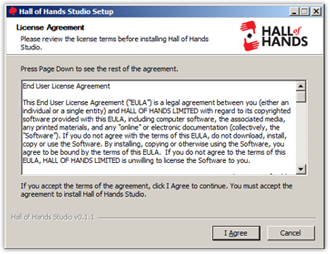 How to install the Hall of Hands Studio? 1. 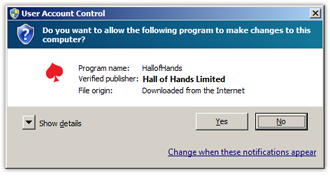 Once you've downloaded the Hall of Hands Studio, double click the Setup.exe file. 2. Click "Yes" on the user account security notification in order to continue. 4.Click "Finish" and you are done. 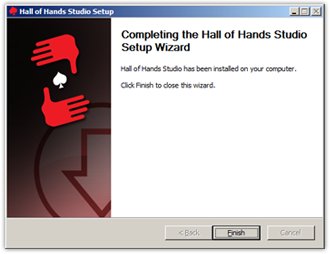 Now the Hall of Hands Studio is ready on your screen, play at your favorite poker room and get ready to brag.